Imbued with a portion of the cult patriarch's genetic material, Abominants are an even larger and more powerful variant of the Aberrant. 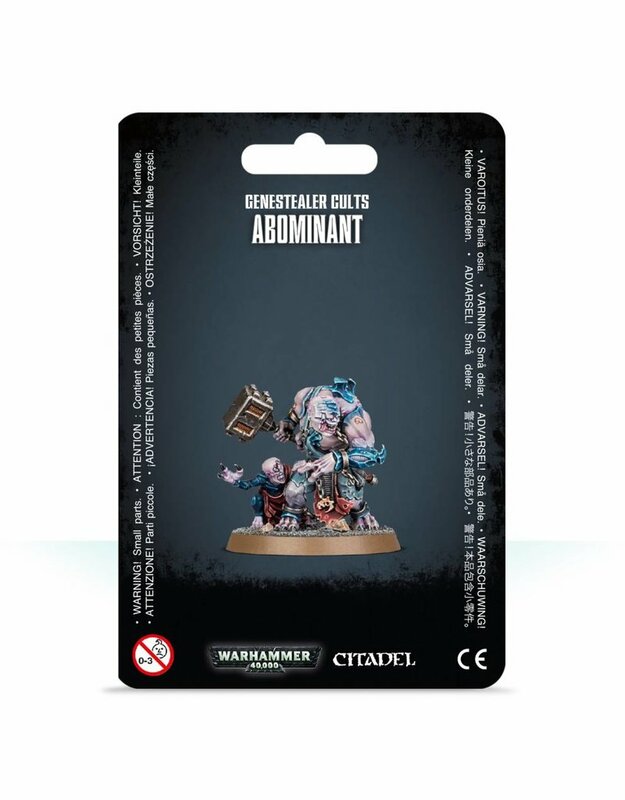 More than up to the task of demolishing anything in it's path with it's power sledgehammer, the Abominant can even disrupt enemy psykers by virtue of it's Mindwyrm familiar guide's presence. Previously only available in the Warhammer 40,000 Tooth & Claw box set!